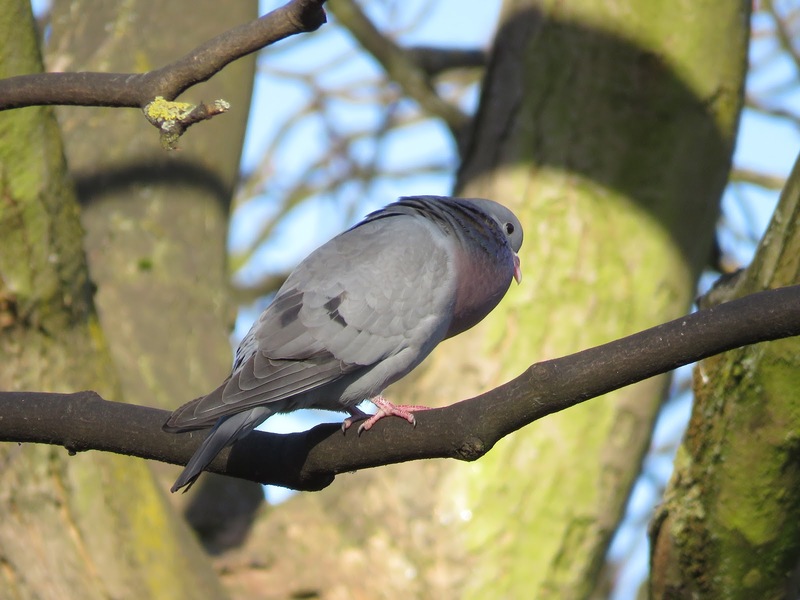 I was lucky this morning to watch a pair of Stock Doves courting from a good vantage point. 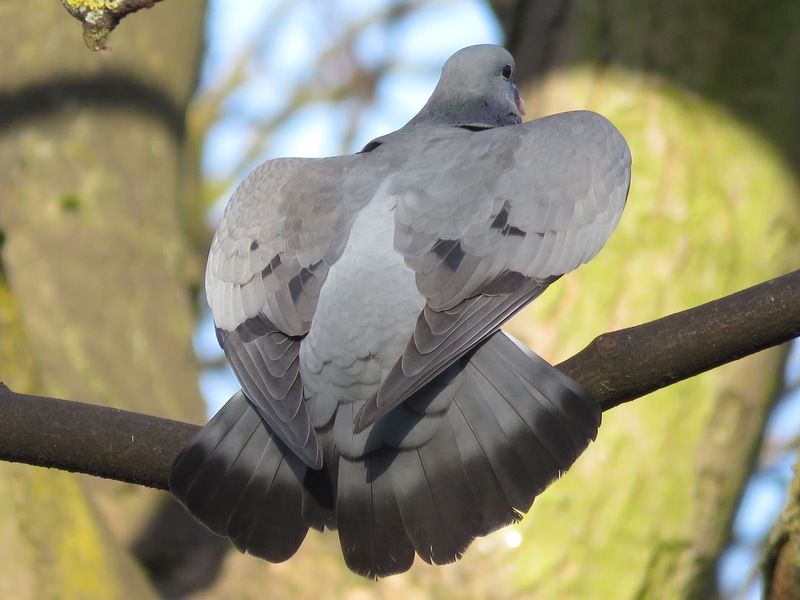 They usually stick to high branches in the trees in the park, only rarely coming to the ground. Today I heard a male's booming call from the trees opposite the pond, and I climbed to a small hill on the other side. My new camera is heavy and I still need to get used to its weight, so I eventually leaned against a tree trunk to steady myself. 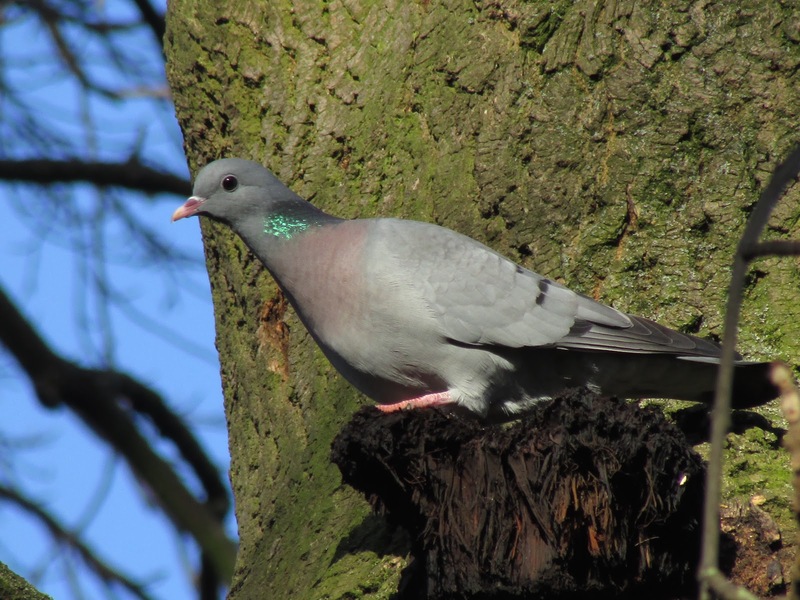 The male crouched on a branch bowing parsimoniously at the same time that fanned its tail - very similar to woodpigeon's courtship -, facing the female. 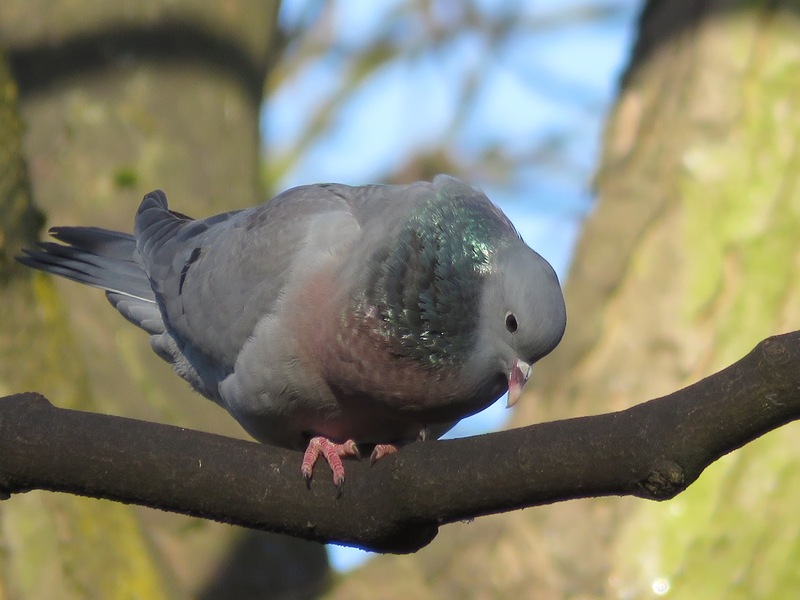 Its neck, inflated with air showed while cooing showed its green iridescent neck patch, which looks much larger than when the dove is at rest (bottom photo). 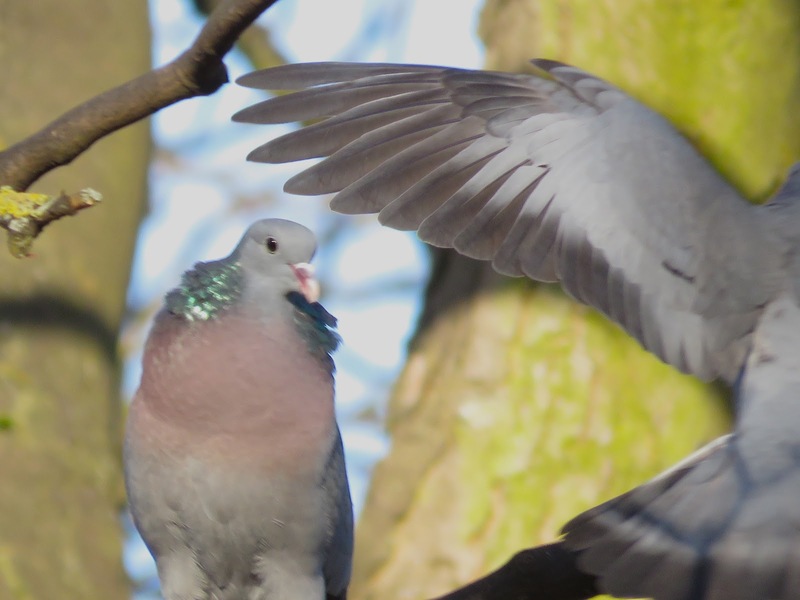 She eventually lands next to him. This photo is not brilliant, but I like how the neck patch is actually ruffed, something I had not seen before. 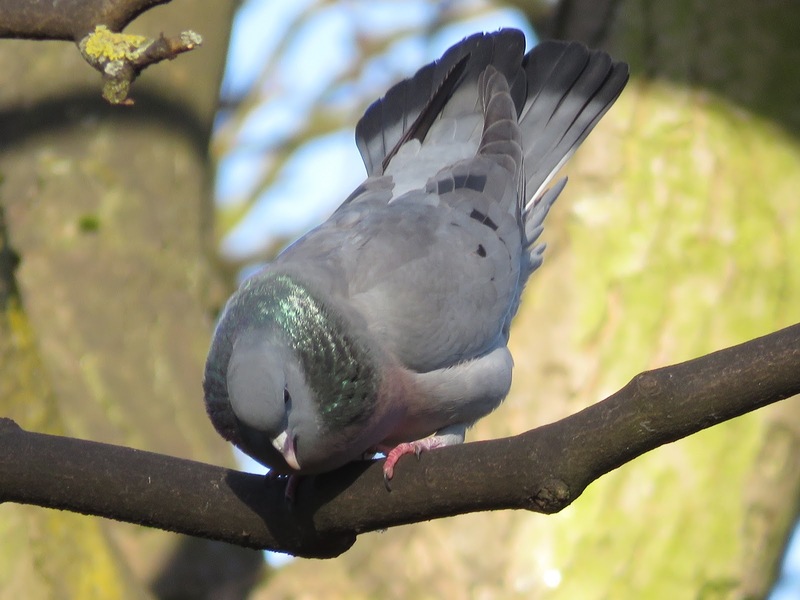 More male bowing, fanning tail, showing its iridescent neck patch. 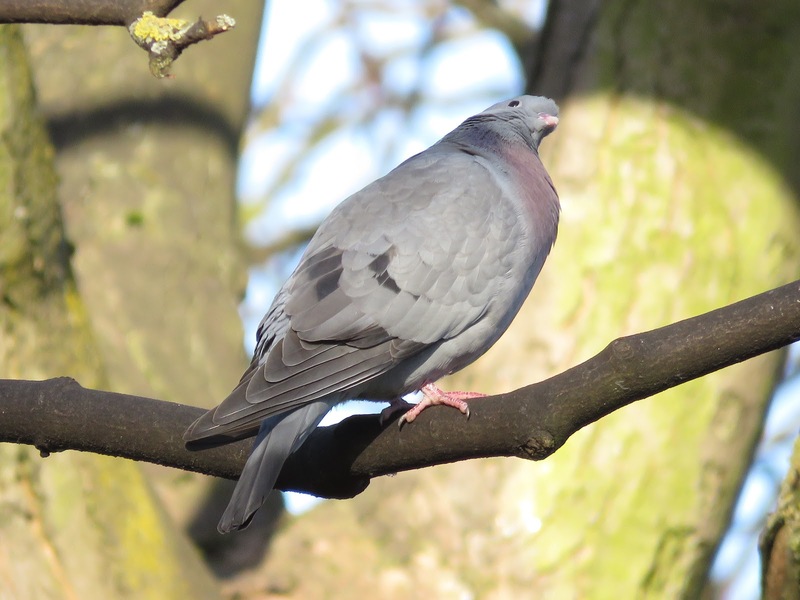 A stock dove at rest, from 27th Feb. Compare the size of the neck path.